PENCIL PORTRAIT ARTIST - OIL PORTRAIT ARTIST - PAINTINGS AND PENCIL ARTWORK - MUSEUM QUALITY ART - A Fine Art Portrait Artist for Realistic, Lifelike Oil Paintings, Oil Portraits, Pencil Portraits and Drawings. 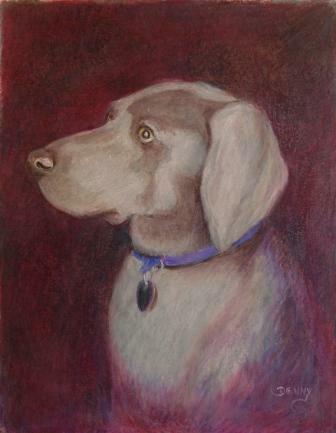 NEED A GIFT CERTIFICATE FOR A PORTRAIT, DRAWING OR PAINTING? LIFELIKE PORTRAITS in TRADITIONAL CLASSICAL REALISM? Pencil Portraits and "Pencil Paintings"
Traditional realism is the hallmark of my portraits. This artist strives to return us to the time of the renaissance artists and their magnificent art and portraits, full of realism and life.
" My inspiration comes from studying the works and techniques of the 15th and 16th century masters of portraiture, to make the most effective use of the gift that God has blessed me with... "
Welcome to the website of St Louis Portrait Artist Jim Denny, painting realistic, lifelike, reasonably priced portraits for clients from California to Maine. Art By Jim Denny is the art studio of Southern Illinois portrait artist Jim Denny. As one of the Saint Louis Area's portrait artists for over 30 years, Jim has been primarily painting realistic portraits for private collections from coast to coast. as well as for clients outside the United States. He specializes both as a pencil portrait artist and an oil portrait painter. This artist strives to find and bring out the true personality of the subject that you need to see in the finished portrait. He creates lifelike, realistic, museum quality portraits of adults, children, brides and grooms, family groupings, and pets. Your portrait can be created as an oil painting or as a detailed pencil drawing, using your photographs as the model and the inspiration for the portrait. Do you need an oil portrait or pencil portrait of your classic automobile or your house? These portraits, or almost anything else you need to see immortalized as a work of art can also be commissioned. 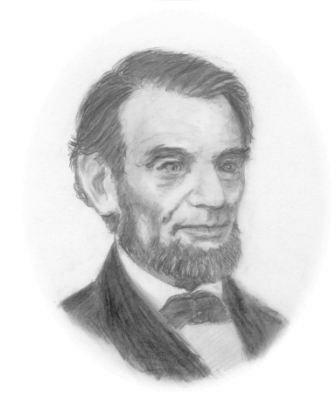 He can draw your pencil portrait as a monochrome drawing or in full color. 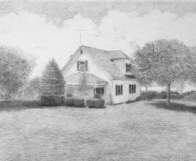 A monochrome pencil portrait can be in classic black & white or sepia & white. His full color pencil portraits, which he refers to as his " Pencil Paintings ", have the look of a pastel painting. The pencil portraits are drawn in traditional classical realism. His oil portraits are painted with that same realism, the style that is characteristic of the old masters of portraiture. Your full satisfaction is guaranteed! Do you need to find a professional artist to paint an oil portrait? Do you need a pencil portrait artist? Do you need an artist for a wedding portrait, or for a graduation portrait? Are you looking for that artist whose paintings and drawings literally spring to life? 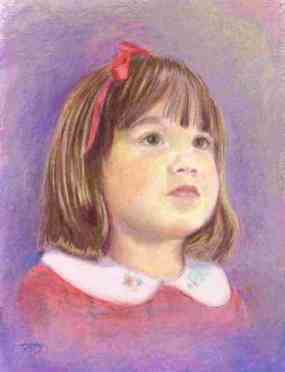 Do you need oil paintings and pencil portraits that bring out the true likeness and personality of the subject? If a realistic portrait artist is needed, you have found him! Serving clients in San Francisco � Los Angeles � Phoenix � Chicago � St Louis � Indianapolis � New York � New Jersey � Boston � Atlanta � North Carolina � South Carolina and points between, from coast to coast. OIL PORTRAIT ARTIST? Looking for a Professional Fine Art Artist? 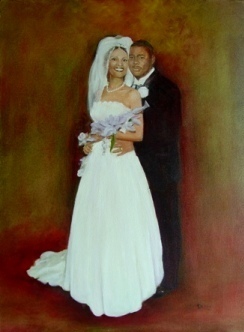 Need St. Louis Portrait Painters? Need an Artist in St. Louis Area?